We're Your Trusted Los Angeles Electrician! There’s a good chance you’re here because you have an electrical problem. Let us help you solve it! Gonza Electric specializes in residential, commercial, and industrial electrical work and installation. We are fully equipped and ready to asses your electrical needs! All of our technicians are licensed and trained. 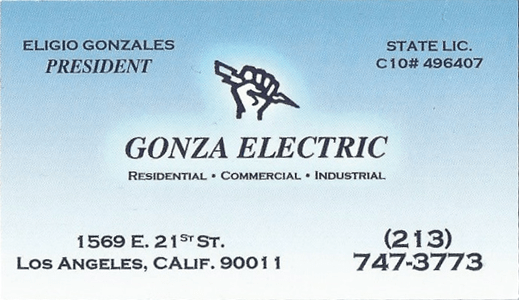 Gonza Electric is your trusted choice for local electricians in Los Angeles and all surrounding areas. We make it our priority to bring you the best level of customer service that will leave you 100% satisfied! Gonza Electric is a proud family owned business that has been in service since 1983! We always provide excellent service to meet your desired level of satisfaction. We have the knowledge and skills to assist you with a wide variety of electrical situations, so when the need arises, large or small, give us the opportunity to show you why we should become "Your Electricians". 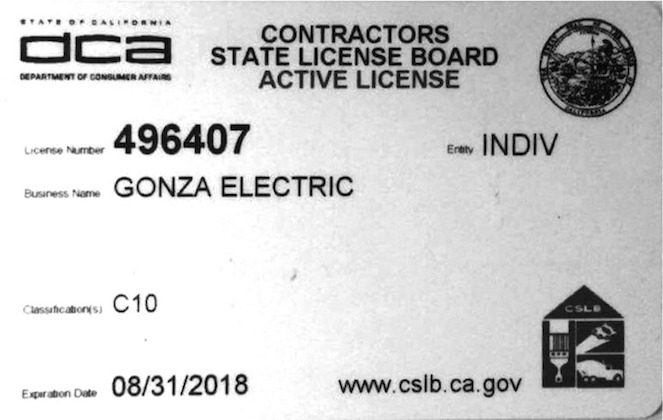 We have a State of California Contractor's License. Our dispatching office has real, articulate people answering the telephones - no recorded messages or pagers. Thank you for visiting our website, we look forward to doing business with you. 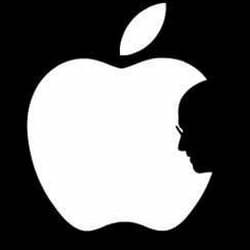 "They are honest and solve the issue right away. Call them for all your needs, you won't regret it"
"This family owned and operated business is a highly reliable electrical company"
"I called for some plug work. They showed up on time and did as they were told. A father, son team"
You can get in touch with us through any of these methods. Call us at (213) 747-3773. We will be ready to assist you! 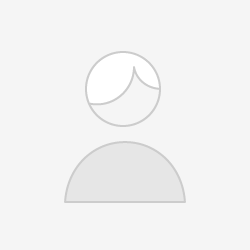 [email protected] We respond to you in less than a day. Leave your request and information below. We will contact you back ASAP.